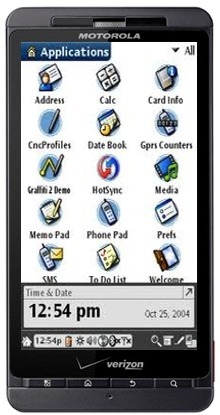 What do you miss the most about Palm OS? Password protection for Memos, Tasks and Contacts? Categories that worked across all your data? Memos that you can attach to Contacts, Calendar and Tasks? Custom fields for your Contacts? The first five on the list were things that we at CompanionLink absolutely could not do without. Chances are, as a business user those five factor somewhere into your list too. The first Android G1 device that landed in 2009 was an experiment to whet the appetites of the Internet-connected masses. That phone, and the flurry to follow it, were social devices aimed at the consumer – a volley from Google to Apple in response to the revolutionary iPhone. But what about business professionals accustomed to the productivity of Palm OS? Business users were making do with these new, non-business toys. They were great at handling games, music, video, pictures, and social media. What they didn’t care too much about was productivity akin to Palm OS. We created DejaOffice for this very reason. We wanted to harness the power of these new, non-business devices and channel it into real mobile productivity. Palm OS productivity, more specifically. We’ve done just that. Look at the list at the beginning of this post again. The first five items were integral parts of many Palm OS users’ workflows. DejaOffice brings these items back to life on Android devices. By doing this, we are extending productivity tools you need to get work done on the go! This entry was posted in Mobile Productivity and tagged android, dejaoffice, mobile productivity, palm os by Rushang. Bookmark the permalink. Android OS became very popular among gadgets now a days. I’m really amaze with it, and aside from this I also love the android logo/character. To clarify, are you referring to the ability to pull up a contact and see all the events, calls, tasks, etc that they have been/are associated with? That’s what I thought. 🙂 Currently we support contact notes and linking contacts to events, but we don’t have a history as described above. It is something we are looking into adding, however. Stay tuned! I really like deja office and yes it gives me just what the palm os did, but I have a problem, My husband and I both used to have palms and both of us sync to the same Outlook calendar, contacts and notes. Now he is using a nokia and I am using and android with deja office. When I have tried to sync my deja office to Outlook using companion link, it periodically wipes the info in my phone, I think it may be because deja doesn’t like what my husband’s nokia is doing to outlook when he syncs his phone. Do you have any suggestions for resolving this. Do you do deja office for nokias? There are a few possibilities here. To help narrow things down – how are you syncing to Outlook (CompanionLink via USB, etc?) and how is your husband syncing to Outlook?